Oki, T. The Hydrologic Cycles and Global Circulation, In: M.G. Anderson and Jeffrey J. McDonnell (eds), Encyclopedia of Hydrological Sciences, Volume 1, 656 pages, John Wiley & Sons Ltd, 13-22, 2005. T. Oki and S. Kanae, Virtual water trade and world water resources, Water Science & Technology, 49, No. 7, 203-209, 2004. 水の世界地図: Robin Clarke・Jannet King著、 沖 大幹 監訳、沖 明 訳、丸善(株)出版事業部、 平成18年1月30日発行、ISBN 4-621-07644-2. 沖 大幹, 地球をめぐる水と水をめぐる人々, 『水をめぐる人と自然─日本と世界の現場から─』, 嘉田由紀子 編著, 有斐閣選書, 199-230, May, 2003. ISBN 4-641-28085-1. Oki, T., D. Entekhabi, and T.I. Harrold. The Global Water Cycle. In: Sparks, R.S.J., and C.J. Hawkesworth (eds). 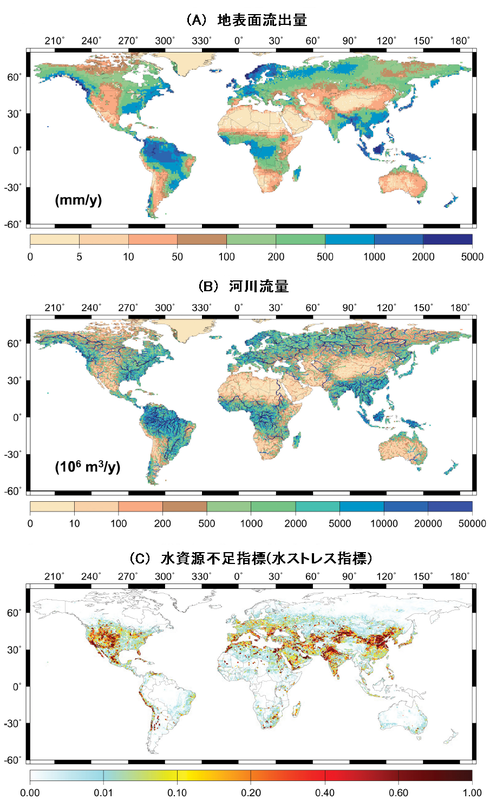 State of the Planet: Frontiers and Challenges in Geophysics. Geophysical Monograph Series Volume 150, 414 pages, AGU Publications, 225-257, 2004. 「長期シミュレーションにより水不足の影響をうける世界人口を予測」、 科学技術動向、p.7、No.67、2006年10月、 文部科学省科学技術政策研究所 科学技術動向研究センター。ISSN 1349-3663.